The laws are ours. No matter what your ethnicity, nationality, gender, race—they belong to us. What Is Afghanistan’s Best Hope? Kimberley Motley is the only foreign litigator working in Afghanistan. Armed with an unwavering determination and a passion for justice, she navigates the country’s punitive and capricious legal system with unprecedented success. In keynotes, she talks about the global human rights economy, and how and why we should all pay attention to—and take full advantage of—the rule of law. Affectionately nicknamed “911,” Kimberley Motley is the first and still only Westerner to practice law in Afghanistan’s courts. She is also currently working on cases in Uganda, Dubai, and the United States, and is expanding her commercial and human rights practice. She spends nine months of the year living in Afghanistan, defending foreigners to the country, Fortune 500 companies, embassies and ambassadors, and women and children in human rights cases, which have involved everything from accusations of drug trafficking, battery, and murder. This former beauty queen, crowned Miss Wisconsin in 2004, has independently won freedom for countless victims, such as a six-year-old child bride, a 15-year-old girl raped and imprisoned, and a British ex-soldier accused of bribery. Motley is a registered attorney for more than 20 embassies, including the United States, United Kingdom, France, Italy, and Germany, as well as an attorney for the French, Italian, U.A.E., and U.K. embassies and ambassadors. The feature documentary about her work, Motley’s Law, was released in the fall of 2015, and won the Grand Jury Prize at DOC NYC, New York’s Documentary Festival. Her expert legal work and legal research and precedent has earned international attention with segments on CNN, the BBC, NBC, and Dan Rather Reports, as well as articles in The New York Times, Vanity Fair, The Guardian, The Washington Post, and The Huffington Post, among many others. Motley has also published several articles on juvenile justice and contemporary legal issues in Afghanistan. She is currently penning a book chronicling her experiences as a Western attorney in the Middle East. 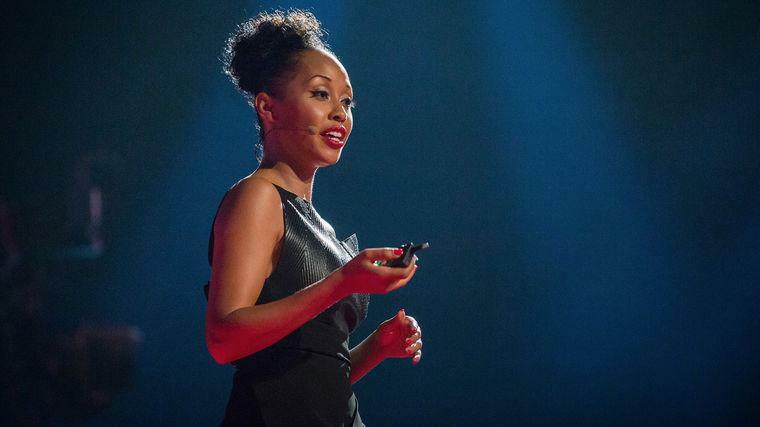 In her lectures around the world (including at TEDGlobal), Motley shares her breadth of international law and her experiences handling criminal, commercial, civil, and human rights issues. She is the daughter of a North Korean refugee mother and an ex-military African American father, and initially served as an attorney with the Wisconsin State Public Defender’s Office, where she litigated hundreds of criminal, civil and juvenile cases ranging from misdemeanors to felonies.